Global Blockchain Summit will impact and promulgate Denver on the Blockchain technology map. Global Blockchain Summit, the main conference that highlights the technology of accounting (DLT), fintech, blockchain, Ethereum and Hyperledger, will be held in Golden, Colorado, today Friday October 19 until Saturday October 20. 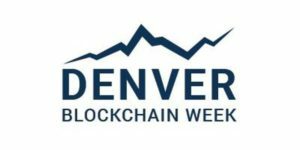 The event will be the cornerstone of Denver Blockchain Week, the leading Blockchain space conference in Denver, Colorado. The Week places the Boulder and Colorado corridor on the map as an important location for the blockchain technology industry. From downtown Denver, Golden is a short drive away. Founders Hans Hultgren and John Carpenter build on the success of the Spring Global Blockchain Summit, which featured speakers from ShapeShift, VMware, Dragonchain and Rebel AI Hultgren and Carpenter have brought together visionaries and opinion leaders from around the world to share ideas from blockchain. 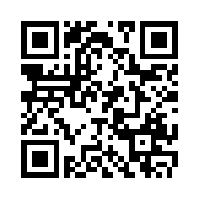 , trends and predictions, and exchange ideas and industry knowledge. Newcomers to the industry will have the opportunity to learn the basics and history of this emerging technology at the event, while professionals will learn more about present and future applications from the industry’s leading minds. This year’s event is partially sponsored by Ideas By Nature, the Zayo Group based in Boulder, the Perkins Coie law firm and several others. Cast Influence, the public relations and marketing company, which will interview speakers before and during the event in its Podcast InfluenceNow, is among the media partners of the Summit. The headquarters of the Global Blockchain Summit is the Origin Hotel Red Rocks, 18485 W Colfax Ave.
Tickets for the event cost $ 499 for one day and $ 799 for both days, with government officials and students obtaining a discounted rate of $ 499 for both days. Next story Biggest Bank in Nordic Region Bans Bitcoin, Gets Caught for Money Laundering. Previous story Crypto and vols buzz in EM economies despite struggling prices.